We have an extensive collection of both saw and knife cut veneers. 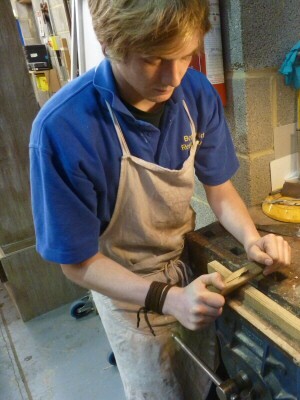 To name but a few, we have; Satinwood, Cuban mahogany, ebony, rosewood, walnut, sandalwood, fruitwoods and many more. 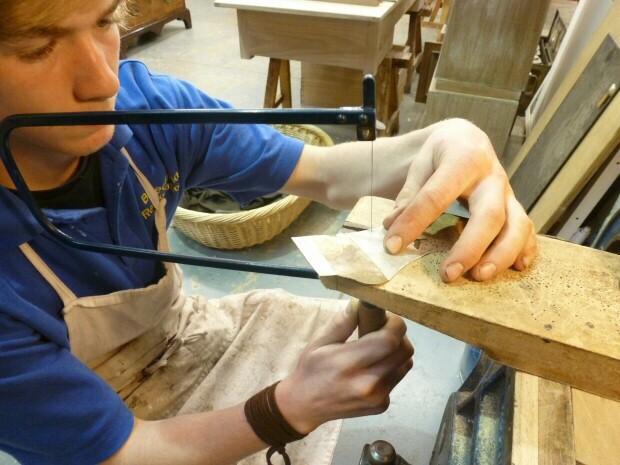 We cut both parquetry and marquetry and even have an operating marquetry cutters donkey, copied from the original in the Victoria and Albert museum. 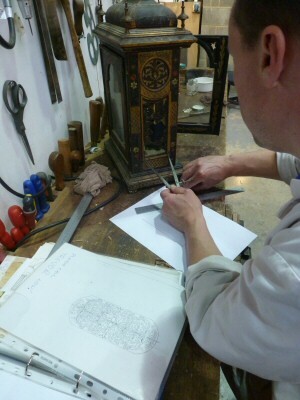 A separate skill and more time consuming than marquetry, we work in all manner of exotic materials; horn, pewter, bone etc. Our polishing shop has a cornucopia of pigments, colours, stains and polishes. Although traditional finishes represent the majority of our work, namely French polishing and wax finishes; we do utilize modern lacquers for modern pieces. We can make replacement keys and on occasion, making small box and clock locks from scratch. 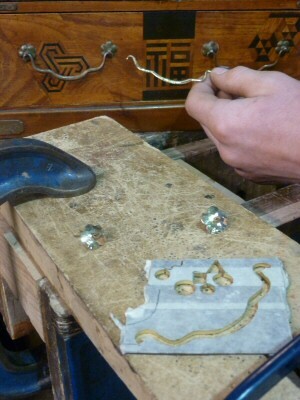 Often, antique pieces are locked and minus a key, so this is a most useful service which we can offer. 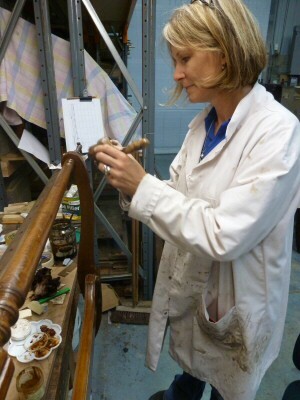 Prior to re-upholstery chair frames mostly require dismantling and broken joints and worm eaten rails fixing. 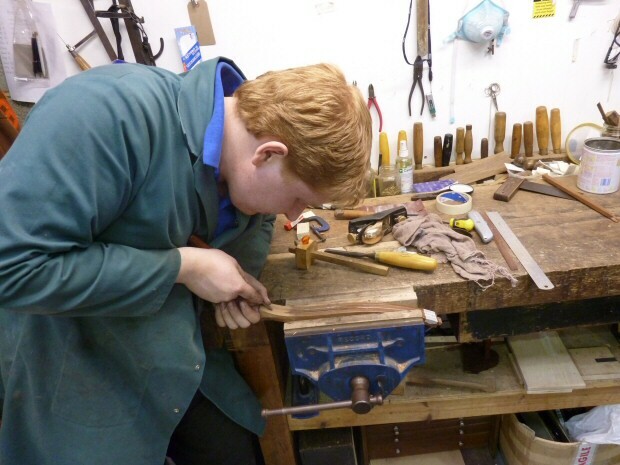 We restore frames valued from £100.00 up to £20,000 and beyond. 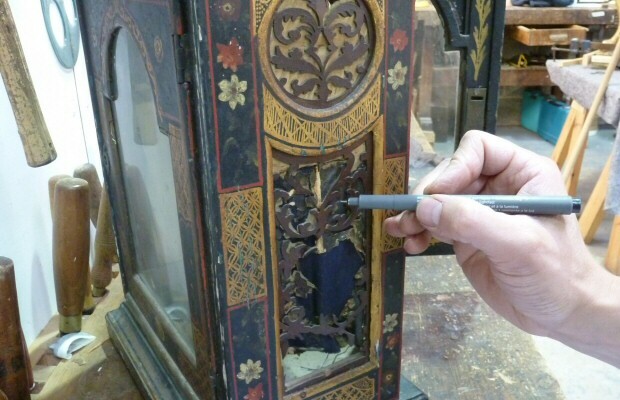 We undertake all manner of cabinetwork, from large breakfront bookcases to small jewellery boxes, from fine English to Oriental, no object is too unusual or challenging. If you have always wanted a pair to match a piece or would like a piece that is not for sale, we can make it for you. We can produce one off contemporary objects. We will make a piece tailored to your designs or brief. We make one-offs, not batch runs. New leathers hide or skiver to whatever colour you need, with a large choice of tooling. Used for desks, writing slopes, tables and so on. 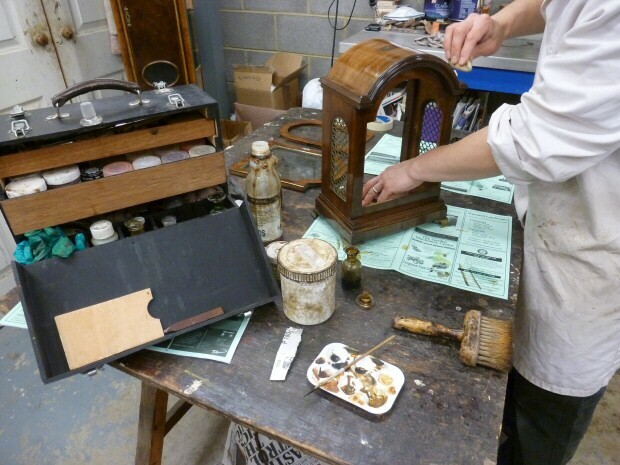 Includes cleaning, restoring, re-water or oil gilding or minor repairs. Missing details can be carved or cast. For further details of our specialities please enquire online, phone us on 01844 339900 or view our profile on the BAFRA website.